The United States has launched successful cyber attacks against Iran and North Korea in recent years, according to multiple credible reports. These cyber attacks have caused physical destruction of thousands of Iranian nuclear centrifuges and disrupted North Korean missiles on launchpads or shortly after takeoff. Some of the code and developer tools used in the attacks have leaked out. 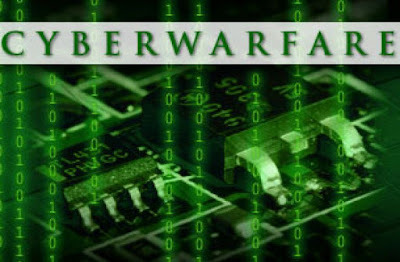 These leaks are enabling other nations to learn and develop their own offensive cyber weapons. The United States and the United Kingdom have accused Russia of using social media apps like Facebook and Twitter to exploit and deepen divisions during the US presidential elections and the UK's Brexit referendum in 2016. Similar warfare techniques, described by the US RAND Corporation as New Generation or Hybrid Warfare, are probably being deployed by other nations as well. It refers to the use of a broad range of subversive instruments, many of which are nonmilitary, to further a country's national interests. It wouldn't be far-fetched to think that India and Pakistan are learning from New Generation Warfare techniques developed and deployed by technologically advanced nations. A large number of Iranian centrifuges suddenly started to blow up around 2008-9 soon after President Barack Obama's inauguration. The mystery was finally resolved in the summer of 2010 when a computer worm later named Stuxnet escaped Iran’s Natanz plant and spread around the world on the Internet. "After several false starts, it worked. One day, toward the end of Mr. Bush’s term, the rubble of a centrifuge was spread out on the conference table in the Situation Room, proof of the potential power of a cyberweapon. The worm was declared ready to test against the real target: Iran’s underground enrichment plant." A very high percentage of North Korean missile launches failed in the period from 2015 to 2017. The missiles either blew up on the launchpads or failed soon after launch. These failures are widely attributed to American cyber attacks. “You’ve probably heard the conversation about how we’re on the wrong side of the cost curve for missile defense many times. We’re utilizing multi-million-dollar interceptors against very inexpensive missiles and those types of threats, So it’s a balance. It has to be a balance between the end game, if you will, where we’re relying on an interceptor to defeat the threat and other approaches." The United States and the United Kingdom have accused Russia of using social media apps like Facebook and Twitter to exploit and deepen divisions during the US presidential elections and the UK's Brexit referendum in 2016. American and British intelligence officials believe Russia used all major social media platform to spread words, images and videos tailored to voters’ interests to help elect President Trump. Similar allegations have been made by the British government about Russian interference to influence the outcome of the Brexit vote in the U.K.
Facebook, Google and Twitter acknowledged in 2017 that they had identified Russian interference on their sites. The companies have responded to the threat — Facebook, in particular, created a “war room” in 2018 to fight interference around elections — but none has revealed interference around US midterm elections in 2017 on the same scale as in 2016. Stuxnet worm and recently leaked NSA's hacking tools by Shadow Brokers have revealed the extent of US intelligence agencies' cyber spying and hacking operations. Symantec's Liam O'Murchu who was among the first to unravel Stuxnet says it is "by far the most complex piece of code that we've looked at — in a completely different league from anything we’d ever seen before." It is almost certain that the code is being reverse-engineered and repurposed as their weapon by cyber warriors in many countries around the world. In 2013, a group known as "Shadow Brokers" leaked NSA's sophisticated cyberweapons that have exposed major vulnerabilities in Cisco routers, Microsoft Windows, and Linux mail servers. Soona after the Shadow Brokers leak, North Korea is believed to have developed and used WannaCry ransomware. It encrypts files on the target PC's hard drive, making them inaccessible, then demands a ransom payment in bitcoin to decrypt them. American agencies have launched successful cyber campaigns against adversaries like Iran and North Korea in recent years, according to multiple credible reports. These cyber attacks have caused physical destruction of thousands of Iranian nuclear centrifuges and disrupted North Korean missiles on launchpads or shortly after takeoff. Some of the code and developer tools used in the attacks have leaked out. These leaks are enabling other nations to learn and develop their own offensive cyber weapons. The United States and the United Kingdom have accused Russia of using social media apps like Facebook and Twitter to cause and deepen divisions during the US presidential elections and the UK's Brexit referendum in 2016. Similar warfare techniques, described by the US RAND Corporation as New Generation or Hybrid Warfare, are probably being deployed by other nations as well. It refers to the use of a broad range of subversive instruments, many of which are nonmilitary, to further a country's national interests. It wouldn't be far-fetched to think that India and Pakistan are learning from New Generation Warfare techniques developed and deployed by technologically advanced nations. THE 2018 IDEAS Expo in Karachi featured a high-level seminar on hybrid warfare. This was a timely recognition that threats to national security can and do assume complex forms. For over 60 years, nuclear weapons have deterred a major conflict between nuclear-armed states, and, because of the global revulsion against the use of nuclear weapons, the nuclear powers have been also unable to realise offensive objectives through nuclear coercion, even against non-nuclear weapon states. Thus, most conflicts are in the form of conventional military interventions against smaller or weaker states, sub-conventional (guerrilla or irregular) conflicts or ‘hybrid warfare’. More ‘developed’ nations often claim they are more democratic than their developing counterparts and often employ talking heads to push this narrative. Over the years, and certainly more recently, these talking heads can be seen desperately trying to push one version of events while ganging up on others who have a difference of opinion — cyber bullying. Further, these talking troll heads try to muddy waters by falsely labeling people they don’t know and claiming Fifth Generation Warfare (5GW) is nothing more than a silly conspiracy to derail attempts at their free speech. And while many unfounded conspiracies abound, it behooves us to take a closer look at these individuals and their claims. For starters, let’s consider what 5GW is. Interestingly, both military officers were quoted by Raashid Wali Janjua in one of his columns for a national daily: “Pakistan is already in the throes of this phenomenon, internally generated and externally abetted. Like the resource curse of countries like Angola and Congo, Pakistan’s geographical location is a curse. Instead of yielding economic dividends it has caused constant meddling by global powers in its internal affairs. Faced with such constant supply of war fuel, the soft state model of governance by an illiberal democracy is a sure recipe for chaos and disorder.” Clearly there are issues that need to be handled by the State. But when you have cyber bullies attempting to force others to share their narrative, the message gets lost and becomes almost disingenuous. What may be seen as important news by some appears almost as propaganda to others. But with so much propaganda these days, how can one differentiate between what’s authentic and what is completely contrived? We can similarly assess content to determine genuine from disingenuous authors (if there is an author, if not, it’s suspect), and whether the content is attention-worthy or just mindless fluff in the vortex of caustic conversations designed to stir up violence and chaos. In order for Pakistan to succeed, it can learn to engage more effectively with volatile events, efficiently mitigate them and grow stronger as a nation we can all be proud of — despite the chaos. Terry Gross of Fresh Air interviews David Sanger of New York Times. If China is in command of the network itself and has sort of end end control from phones for which it makes its own chips to the software on the switch to all of the other tentacles of the central nervous system, that it, basically, can do whatever it wants. And the chances that you would see it are relatively diminished. Big network operators like AT&T and Verizon, if they bought Huawei equipment - and it's pretty clear the government is not going to allow them to do that - would have some visibility into the system. In "The Perfect Weapon," I describe a plan the United States had if we went to war with Iran, called Nitro Zeus, to basically unplug Iran's communications and electricity grids. Well, imagine that that's in the Chinese plans for the United States. If they're in control of the communications grid of the U.S. or its allies, you can imagine how much easier that is to do.